The spiraling cost of energy is very frustrating and it seems that with each passing day it is going out of bounds. Now a day, more and more people are trying to reduce their homes’ energy consumption to keep a check on energy bill; you, too, must be trying to do the same. Follow an easy step; simply replace all the regular bulbs in your home with energy efficient light bulbs. You can even try out the energy saving candle bulbs. Instead of incandescent bulbs use these new energy efficient bulbs, which not only provide you proper light but also consume less energy, are cooler and last longer. 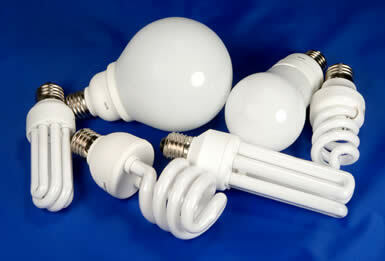 Replace your existing bulbs with CFLs (compact florescent lights) and save 50% on your lighting cost. I have been using CFLs for the last few years and it is beyond doubt that these not only last longer but use a fraction of the energy cost to light up my rooms as well as the hall ways in my house. These are available in a variety of shapes, sizes and colors; replace your regular bulbs with these and enjoy bright light without going through the hassles of replacing these frequently. To give an aesthetic value to your rooms as well as to warm up the long winter evenings, use the decorative candle bulbs. Another type of energy efficient candle bulbs, which use LED (light emitting diodes) technology, are becoming fast popular. These do not waste energy by heating up and unlike incandescent bulbs; LED’s do not produce ultraviolet or infrared rays, thus proving easy to your eyes. Though these energy efficient bulbs are bit costlier than the regular incandescent bulbs; however, in the long run you can save money by bring down your energy consumption bill. Since these bulbs convert a greater percentage of energy into light that is visible to human eyes, it consumes lesser power to generate the same, or even more, amount of helpful light than the regular bulbs. These bulbs have a longer lifespan only because these use less energy and do not heat up unnecessarily. These are becoming fast popular and you can use these bulbs in any application in and around your house. Not only retail customers like you and me, but even manufacturers now a day are taking advantage of these energy efficient bulbs and using these in many of their new and upcoming electronic devices and appliances. Like most of today’s consumers, you too must be aware of the global warming issue and how increased energy consumption is drastically affecting the environment. Use these energy efficient bulbs instead of the traditional incandescent bulbs and you can not only save money by bringing down your energy bill but can also do your bit for the environment. Spend the saved dollars on other amenities and pleasures that life throws at you and leave behind a healthy, cooler environment for the next generation. Use energy efficient bulbs, save energy and say goodbye to the traditional incandescent bulbs.